Join the largest network of intellectual writers and columnists across Nigerian universities. If you are a writer, pair up with another student from your school who is passionate about writing (or campus journalism). Amidst the three controversial topics listed below, you are allowed to pick only one. Collaborate with your partner and write a 1000-word piece. You are expected to write 500 words (at most) on each side of the controversial topic. Nigeria needs a female president? A divided Nigeria is good for us all? "A good leader can engage in a debate frankly and thoroughly, knowing that at the end he and the other side must be closer, and thus emerge stronger. You don't have that idea when you are arrogant, superficial and uninformed." "The power of real debate is in the language and intellectual honesty of the debaters, alongside the engagement of spectators." No age restrictions. But you have to be a student in any of the listed universities to be able to participate. We are receiving entries from students in all levels except finalists. You are not allowed to write on a topic outside the three suggested topics. The maximum amount of words is 1, 000 words. Your entry must be co-authored – meaning written by two writers. Every contestant is entitled to only ONE entry. 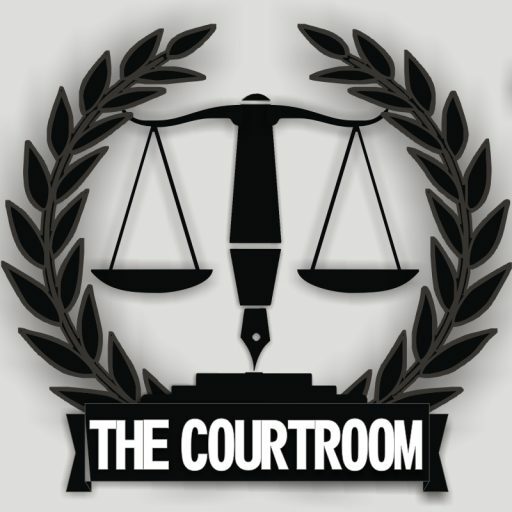 All submissions should be forwarded to the courtroomng@gmail.com. The subject of the mail should read – 2019 Courtroom Induction. The body of the mail should contain the following for each writer: Name, Email Address, Phone Number, Department, Level, Name of University and Title of Entry. ‘Fisayo Soyombo was pioneer Editor of TheCable, Nigeria’s third most followed online newspaper, and former Editor of the International Centre for Investigative Reporting (ICIR). He is currently the Managing Editor of SaharaReporters. Soyombo believes journalism is not just a profession but a calling — a vital instrument for enhancing and propagating democracy, and serving humanity, particularly the downtrodden. His notable investigations include the Blood on the Plateau series, which unravelled the brutality of years of ethnocentric killings in Plateau State, north-central Nigeria; an undercover investigation into bribery and corruption at Nigeria’s biggest sea port; the Forgotten Soldiers series, a moving, hard-won exploration of the abandonment of Nigerian soldiers who suffered life-threatening injuries in battle with Boko Haram; an undercover investigation into the theft (by state officials) of food and other relief aid in IDP camps for Boko Haram victims; an undercover investigation into bribery and corruption in the handling of corpses at Nigerian mortuaries and cemeteries; and another into the travails of cancer patients in Nigeria. In his latest work, published in May 2018, he drove the equivalent of a stolen car from Abuja, Nigeria’s federal capital, to Lagos, the country’s commercial hub. Not only did he arrive Lagos safely with the car, he returned to Abuja scot-free with it — and this is despite passing through a whopping 86 checkpoints in a journey of over 1,600km that lasted a cumulative 28hours 17minutes. Soyombo’s brand of investigative reporting has won him multiple awards: in 2016 alone, he was finalist, Kurt Schork Awards in International Journalism; winner, Maritime Economy category, African Media Initiative awards; winner, overall prize, Wole Soyinka Award for Investigative Reporting; winner, Hans Verploeg Newcomer of the Year category, Free Press Awards, Netherlands; and winner, Journalist of the Year (Business and Economy Reporting), PricewaterhouseCoopers (PwC) Journalism Excellence Awards. He is also a 2013 winner of the Deutsche Welle/Orange Magazine Reporting Fellowship, a 2014 finalist for the Kurt Schork Awards in International Journalism, and a 2017 winner of the Wole Soyinka Award for Investigative Reporting (Online category). Soyombo is an op-ed contributor to Al Jazeera and has also written for TAZ, Journal Du Dimanche, the Daily Mail UK and Africa In Fact. His writings have been translated into German, French, and Arabic. Soyombo holds a B. Agric. in Animal Science from the University of Ibadan.